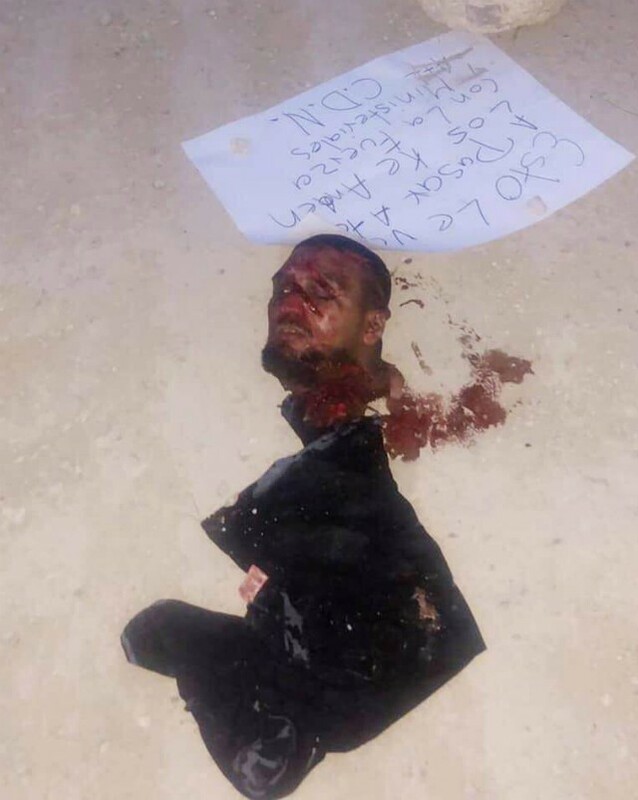 CIUDAD ACUNA, Coahuila – Gunmen working for a terrorist-led organization known as Cartel Del Noreste/Los Zetas used a severed human head to help deliver a message to local residents. The show of force comes at a time when government officials claim the region is safe. Over the weekend, Cartel Del Noreste gunmen left the head of an unidentified man next to a poster board, threatening those who worked with the police unit Fuerza Coahuila or other authorities would meet a similar fate. The message was signed with the letters “C.D.N.” The gruesome crime scene was discovered in the industrial area of Ciudad Acuna, behind a heavy machinery manufacturing plant. Ciudad Acuna is immediately south of Del Rio, Texas. Law enforcement sources revealed to Breitbart News that the victim is between 30 and 35-years-old, had short black hair, and a goatee. Less than 600 yards away from the crime scene, investigators found an abandoned Dodge Neon with large bloodied knives that authorities believe were used in the beheading. The gruesome murder comes only weeks after authorities clashed with cartel gunmen when they caught them dumping a beheaded body in Piedras Negras, just south of Eagle Pass. Law enforcement sources revealed to Breitbart News that Ciudad Acuna saw other gruesome crime scenes in recent days. The messages come from the CDN faction of Los Zetas, a criminal organization that is currently led by the narco-terrorist Hector Raul “El Tory” Luna Luna. In 2008, El Tory along with his gunmen, threw grenades and fired several weapons at the U.S. Consulate building in Monterrey. 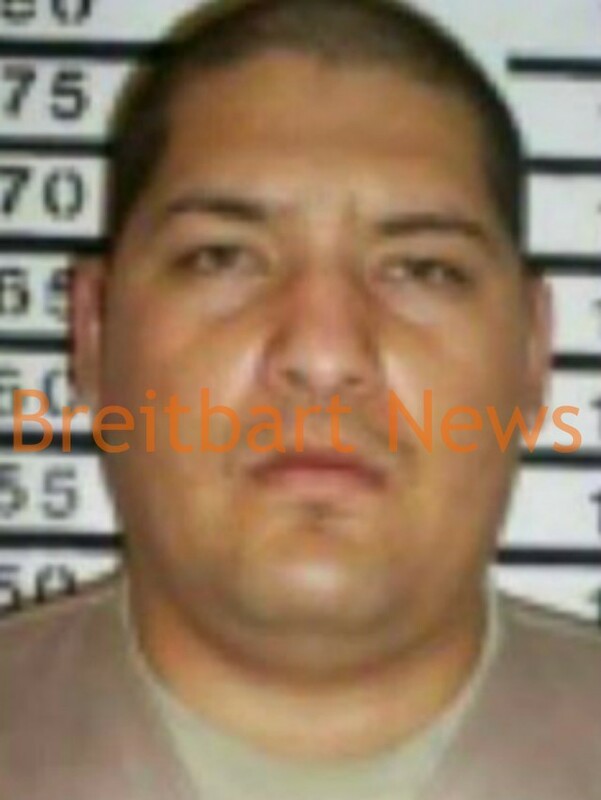 Despite being arrested in 2010, El Tory was suspiciously released by a Mexican federal judge in mid-2018 and has since led a reign of terror throughout northern Mexico. El Tory is responsible for a rash of cartel beheadings and mutilations where body parts are left as messages to instill terror in rivals and average citizens alike. El Tory also threatened to blow up a state police building in Monterrey, and his gunmen were apparently behind the targeted killings of police officers in northern Mexico.